For a relentless student of history and symbolism, the ancient world is seldom far away. Today, while I walked through the historic La Cana Cantina (aka - The Idle Hour Cafe), a small quarter-sized object caught my attention in an exterior doorway. I picked it up and discovered it is a Saint Christopher medal. And, it is inscribed on the back. 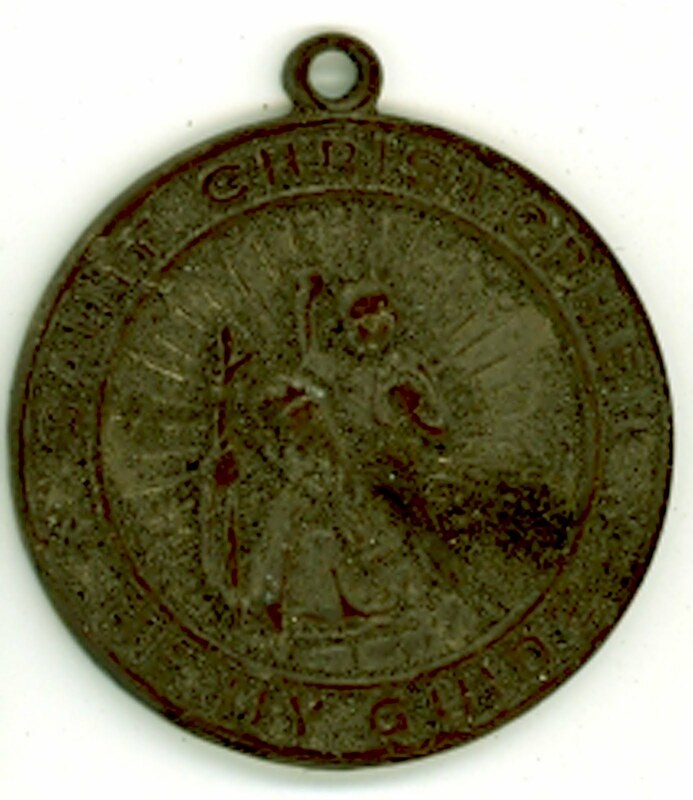 The inscription on this silver medal reads "Saint Christopher Be My Guide." At one time, St. Christopher was one of the most popular saints in the Catholic church, but objects like this were considered good luck charms by many outside of the religion. Look closely and you will make out a giant of a man with a staff in the shape of a cross, bearing the child Jesus on his broad shoulder. 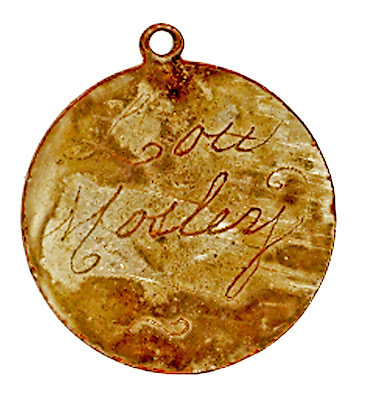 Talismans like this were often given to those undertaking a long journey, perhaps going off to North Hollywood to make it big in the movies. Saint Christopher is one of those Christian saints without Papal canonization. These sacred beings were designated as holy or sanctified by common people outside of official church recognition. Most of the early Christian saints fall into this category. Herein, as Shakespeare might say lies the rub. Popular, or unofficial saints were often amalgamations of local heroes and even Pagan gods. Christopher's story has attributes of the demigod Atlas, who carries the world or god on his shoulders. Atlas, as the name implies was the God of travelers... we still carry an Atlas when we travel. Because this is awkward for religious purists, the Catholic church has more or less downgraded Christopher to a pious legend. 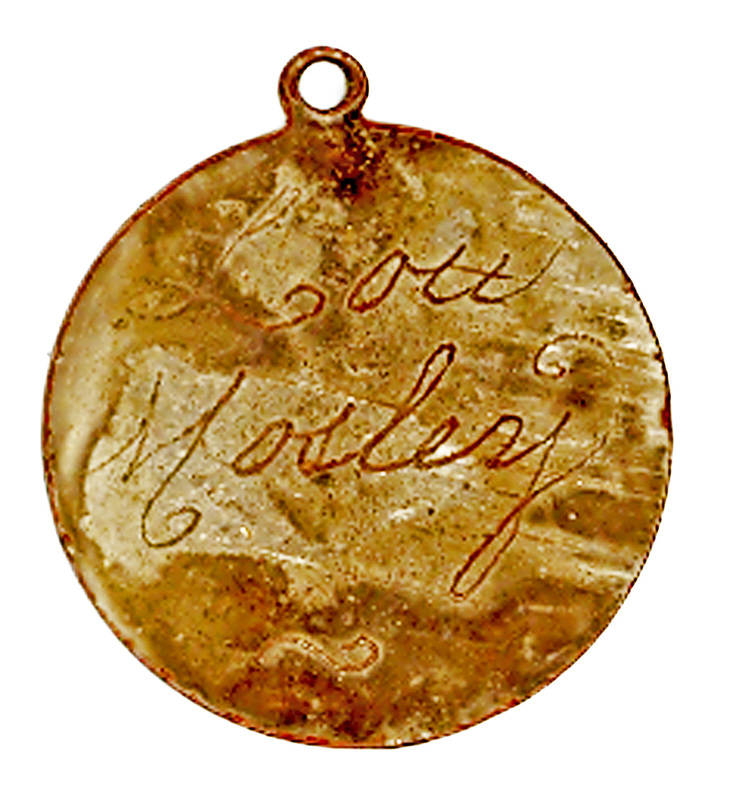 The reverse of the Saint Christopher medal has an engraved notation: Lou or Lott or Low Moseley. Someone cared enough about the traveler to whom this was given, to have it personalized.